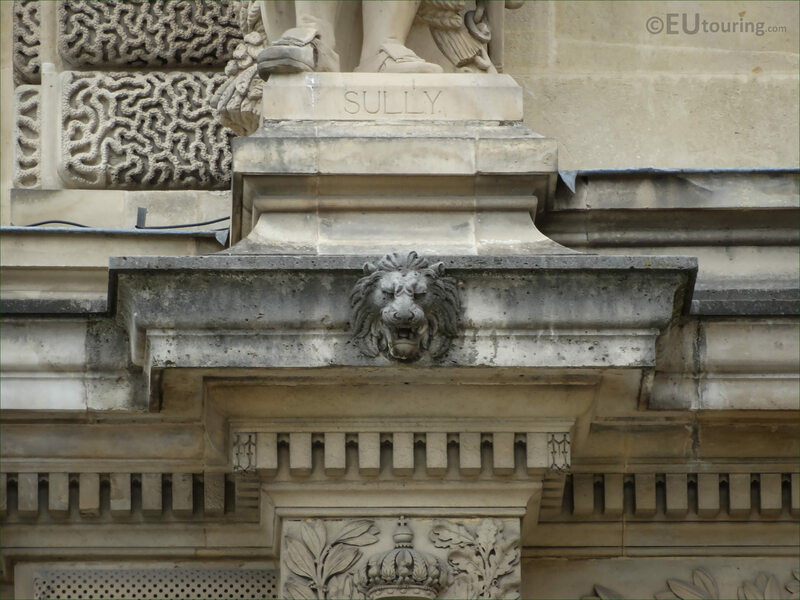 This time while we were within the Cour Napoleon, which is the main entrance courtyard to the Musee du Louvre in the 1st Arrondissement, we took these high definition photos of a statue of Duc de Sully, by Vital Dudray. In this first HD photo you can see the statue of Maximilien de Bethune, Duc de Sully, which is located on the first level balustrade of the wing called the Rotonde de Beauvais, and as you are looking at the facade, this would be the third statue from the left, which is where the central part of the wing protrudes out. 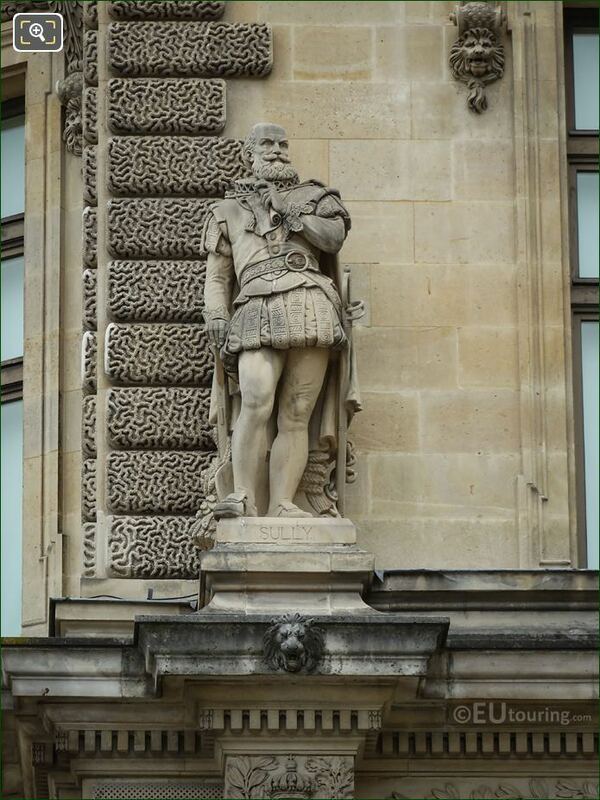 Now this statue of Sully was produced by Vital Gabriel Dubray, who was known as just Vital-Dubray, and born in Paris in the February of 1813 he became a French sculptor and produced numerous different statues of famous people that can be found all over France, which meant he was awarded the Knights cross of the Legion of Honour, and he passed away in the same city in 1892. 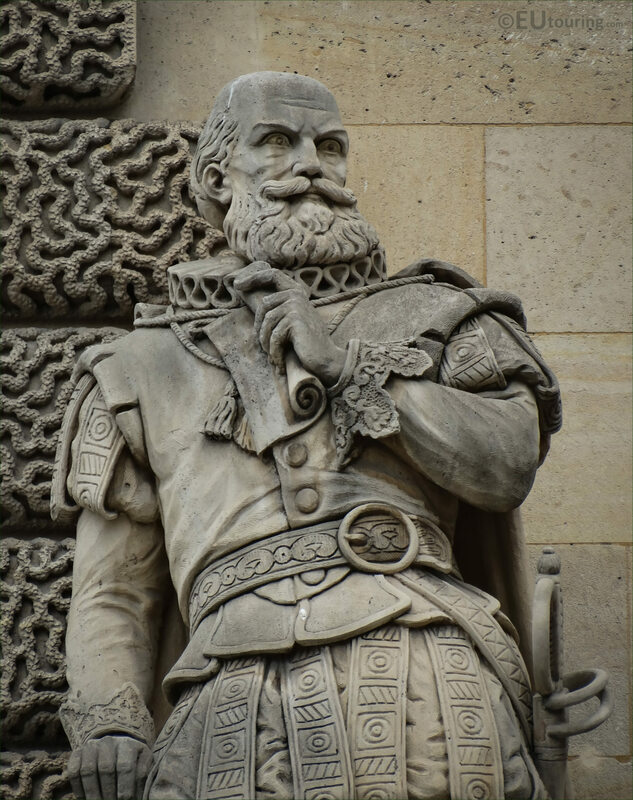 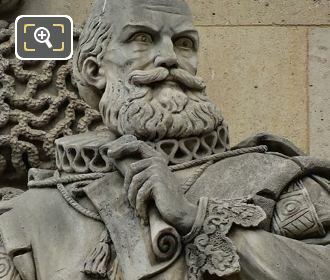 And this last close up image shows the plaque at the bottom of the stone statue, which was put in place in 1858, and as you can tell, it is dedicated to Maximilien de Bethune, the Duke of Sully, who was born in 1560 and became the right hand man for King Henri IV, even arranging the marriage between him and Marie de Medici, and although his political career generally ended when Henri IV was assassinated, Sully is remembered for his role in promoting agriculture and improvements to France.